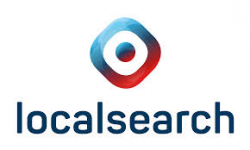 local.ch and search.ch were consolidated under the auspices of Swisscom Directories AG on 1 July 2015. However, local.ch and search.ch still appear as independent brands on the market. Swisscom Directories AG is co-owned by Swisscom AG (69%) and Tamedia AG (31%). As a company that is collaborating on the front line in the digitisation in Switzerland, we are always looking for committed personalities. People looking to fully exploit their potential and take success into their own hands – like you. Get an overview of the development opportunities and job vacancies with us which are waiting for you.